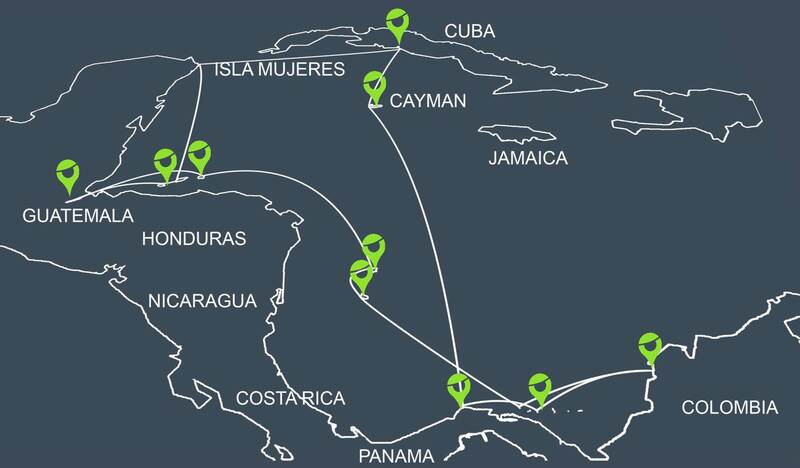 In the first three years after the purchase of KARL, I circumnavigated the Western Caribbean, visiting different destinations in Panama, Colombia, Honduras, Guatemala, Belize, Mexico, Cuba and Cayman. Two thirds of the route I sailed single handedly, one third with crew. Imagine there were no financial limitations, your boat was ready for every weather and your experience would be sufficient to sail any place that you could possibly think of. Where would you go? The perfect trip for me is a mixture of warm and cold weather. Small palm tree islands surrounded by turquoise water but also deep dark blue anchorages framed by rough mountains covered in snow. Places like Easter Island, the Marquese, Alaska or Patagonia. And I would love to bring KARL back home to Europe one day. To sail him up the Elbe river past the places where we camped and grilled at the riverside in summer. But before that, I would love to explore the Pacific. I once captured some wild dreams in one of the episodes of UNTIE THE LINES that you can watch at the right. Nothing wrong with dreaming, right?! Please don’t ask how often I have changed my ideas about possible routes since I purchased KARL. The cold / warm approach is still manifested in my mind though. But when and how and how long are questions that usually cover the next month of planing ahead – and not much more. Since 2016, I wanted to cross the Pacific Ocean and reach French Polynesia. But my engine had a final breakdown and I decided to do a complete repower in 2017 which has forced me to postpone my ocean crossing plans. But there is hope for 2018…Fingers crossed!